This is a brief response to a post at Bleistift – so far this seems to be the best result I can get out of my Ahab pen. Apart from the smell, which I don’t mind that much, it had some skipping problems in the beginning. I was tempted to adjust the feed, as Palimpsest has done, but I wasn’t sure I could align the nib and feed perfectly by myself again. So I just hope the ink flow will improve with time. 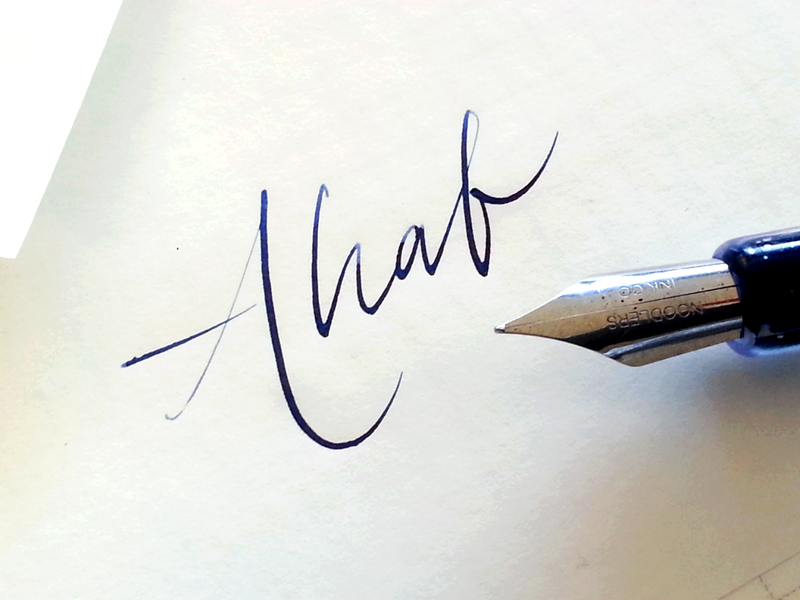 I chose the Ahab over the Creaper since the nib was slightly bigger, but the reviews say the Creaper is actually more flexible. So there are regrets.